Recovery operations are still underway in Texas, Florida and Puerto Rico after Hurricane Harvey and Irma ripped through those areas, leaving nothing but damage behind. Hurricane Harvey cost between $65- and $190-billion and the damage range for Hurricane Irma was between $50- and $100-billion, according to Fortune. The cost of damage and productivity is incredibly high when it comes to natural disasters affecting businesses. Some organizations can recover in six months or less, while others take a year or up to three years, Fortune reported, but closing the doors of your business for any amount of time is never a good thing. About 60 percent of business interruptions that Agility Recovery responds to involve power loss. And when it came to Hurricane Irma, “temporary power was the number one element we deployed to support our customers,” the vendor reported. However, before anyone can offer you power from a generator, you have to know what the power needs of your organization are. Inform yourself by speaking to a licensed electrician and ensure you have this information on hand so you aren’t tasked with obtaining it during a disaster. What phase is your electrical service? Is it single or three phase? What voltage is your service? Typically 208v, 240v or 480v. Is your power requirement for a Wye or Delta generator? How many amps do you need to power key systems? Tip: Determine your peak Amperage draw over the past 12-24 months. What size generator will be required? How many kW will your needs demand? Does your building have a power transfer switch? If no transfer switch has been installed, you will need to consider other options, such as hardwiring or a spider box for power distribution. Do you depend on various vendors throughout a typical workday to get your job done? Many do, and that includes your internet provider, wireless carrier and more. During a disaster, those vendors can become “choke points of recovery operations,” according to Agility Recovery, as they often have to deal with an increase in customer requests. 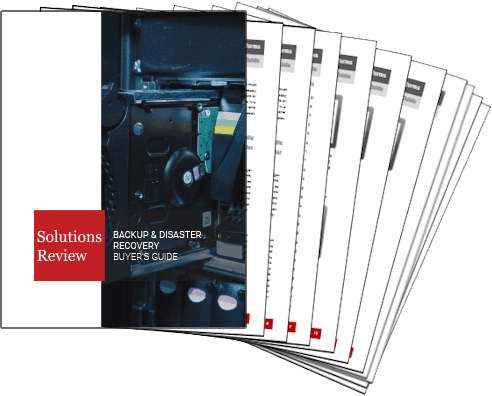 As a backup, the vendor suggests finding and creating a relationship with alternate vendors for any elements that are vital to your daily business flow. Regional disasters like hurricanes will not only affect your business, but the personal lives of your employees. Employees that are affected are less likely to return to work and evacuations can certainly prevent them from getting there. A form of consistent communication with employees is vital. A recovery plan requires effective communication to be successful. If telecommunications were to fail, what is your backup plan? It’s important to find secondary methods of communication before catastrophe strikes so your business is prepared. Agility Recovery suggests utilizing a third-party texting application on smartphones, backup email and emergency contact information for loved ones of your employees. Getting proper and complete insurance coverage is key as many are learning about the limitations of standard coverage only now after the hurricane damage has been done. Most policies reportedly do not cover natural disasters related to flooding. The National Flood Insurance Program does cover flood damage, but won’t cover business interruption or lost revenue. Paying electronically is simple, but it’s important to have access to cash in the event of a catastrophe. If a vendor or retailer can’t process your transaction electronically, you’re out of luck. Consider that you may need cash to buy food, fuel, lodging, repair supplies, and more. Much of the recovery process is centered on local, state and federal government entities. Take advantage of the programs, services and resources that will most likely be available in your community. It’s also important to know who to talk to and when; ensure that task is handled before a disaster is likely to strike. Testing is crucial and a regular review of your plan could be what keeps your doors open during a disaster or at least saves some cash.